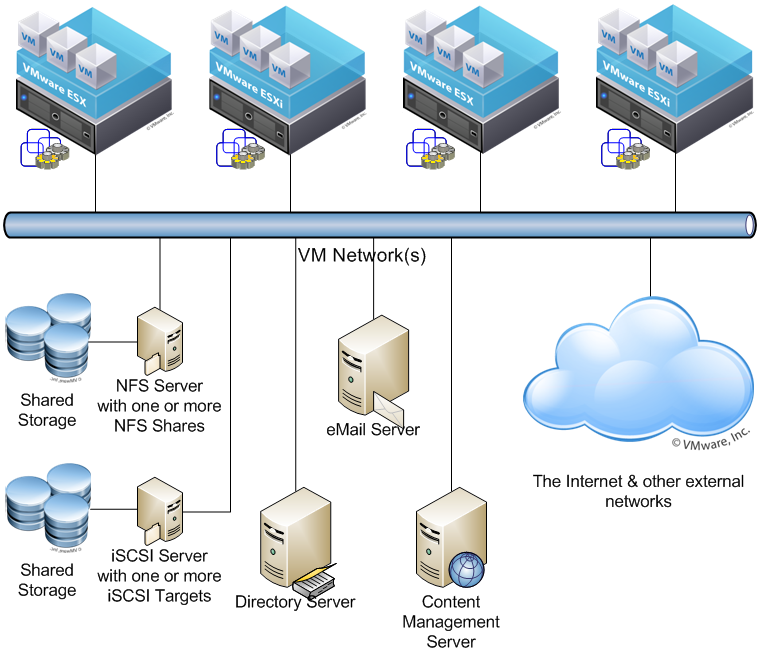 Now, in Part 5, I’m going to identify the various “networks” that you interact with in a VMware environment and also provide my recommendation for a configuration with only two pNICs. On with the show! Notice that, even though there is a different number of vSwitches in the two configurations, the port groups are the same. This logical separation makes it simple to manage your environment – you can even have different hosts with different vSwitch configurations, yet the same port group configuration, that support VMotion among them. It also makes it easy to scale the environment. OK..that’s it for this time. Next time, in Part 6, I’ll talk about my recommendations for when you have differing numbers of pNICs in your hosts. Thanks for your posts on vSwitch. If you want to test network performance with different combinations of VM’s, Hardware and vSwitch, Ixia has published a test plan on our IxChariot Blog. I’d say mixing IP storage networks and VMotion network is a “high risk”. You may nearly stop all storage access during VMotion, if you mix them. From a performance perspective, I agree 100% (which is why those combinations receive a “High” rating in the Performance table). The security risk is relatively “Low”, since all of those networks “should” be protected and have no users accessing them. When you combine those two ratings, you get a “Medium” overall risk. As I said, these are simply suggestions/guidelines to be adapted for each environment. I don’t believe that this is true anymore. Where VI3 is coordinating and TCP is routing, there should not be any reason to have this restriction. You’re correct – VMotion traffic can be routed; however, I recommend that it not be. You want VMotions to occur as quickly as possible. Inserting a router in the path adds at least one hop, which introduces latency. It is best to keep everything together in the same broadcast domain to minimized hops and latency. Don’t forget that you can only have 1 default gateway for the vmkernel. So if you have 3 vmkernel interfaces for vmotion, NFS, and iSCSI, routed vmkernel traffic will transit the interface that is local to the default gateway. 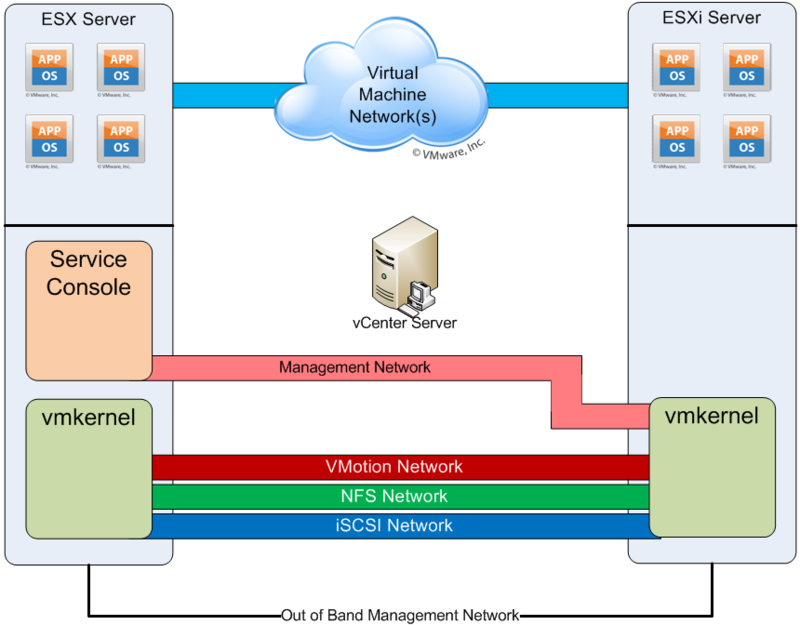 In other words, if your default gateway is on your NFS subnet, and you have ESX hosts with VMotion interfaces on different subnets, that VMotion traffic will transit the NFS network. You can circumvent this behavior by manually adding permanent routes to each ESX host, but this does become rather more difficult to setup, maintain, and troubleshoot. I am trying to figure out how many vswitches I will need for my network and have some serious concerns of how to handle my 8 nics. 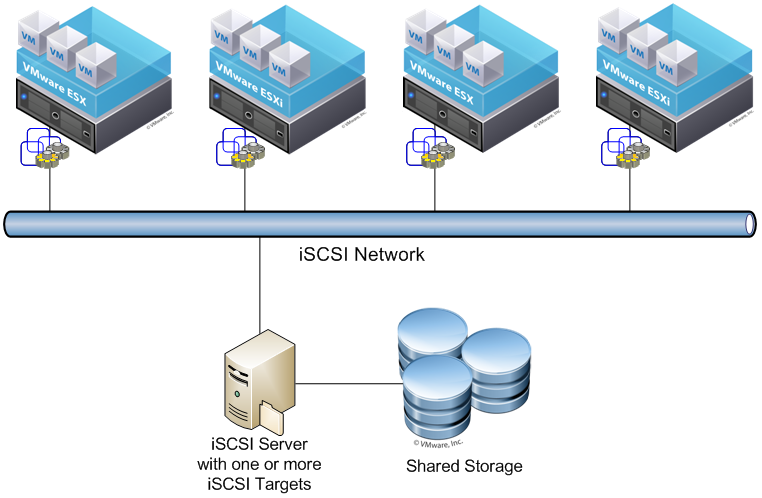 My current plan is to use 4 vswitches: Management, vmotion, storage (ISCSI), and VM Client Networks. If I assign 2 nics to each of the categories and have a vswitch fail then I will completely lose one of my networks rendering the boxes useless. Have you seen anything happen to a vSwitch before? I have never seen nor heard of an instance of a failed vSwitch. I wouldn’t worry about the stability of the vSwitch – the bigger question is do you trust your NICs? If you were to create a single vSwitch with all 8 of your NICs affiliated to it, you could define primary & failover NICs for each port group, but you do that at the expense of physical separation between your different network types. It’s a tradeoff, and you have to judge for yourself which is the lesser evil. Most of the customers I deal with are most comfortable with accepting the risk (it’s unlikely that you will have both NICs associated with a vSwitch fail) and go the “more secure” route of separate vSwitches for each type of traffic. 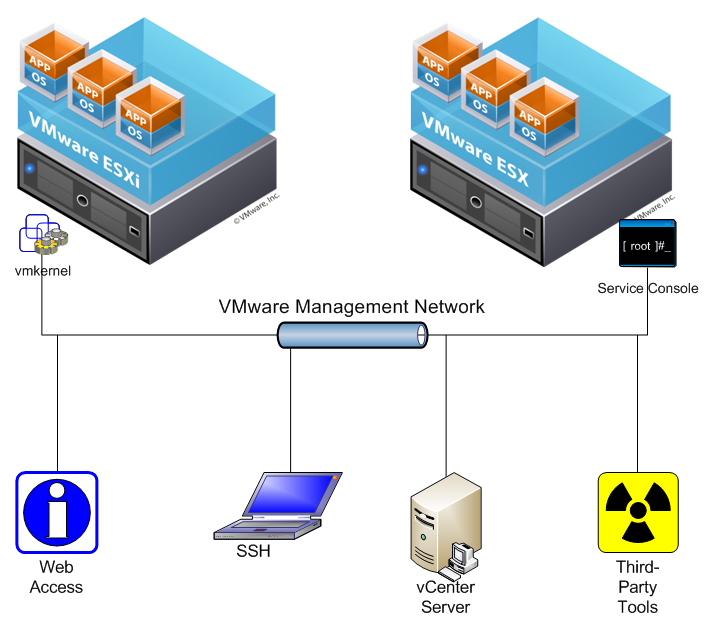 My problem is about ESXi 4 management, vmkernel and ILO networks. How should I separate them? I’m planning to make them one security zone- that is not separating them by a firewall- but use three VLANs. Traffic between these networks would be possible, but access to them would be restricted by a firewall. 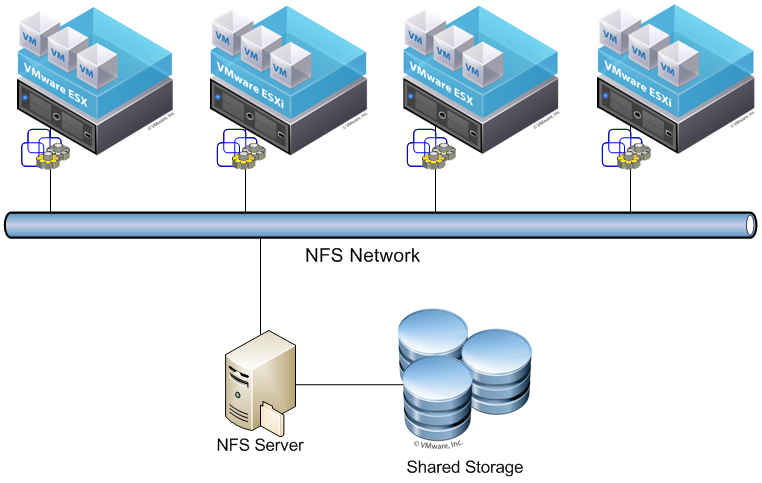 VMs will get their own network infrastructure, storage isn’t connected via ethernet. When thinking of the iLO (or any out-of-band management interface), think of it as providing physical access to the console of your server. In the case of VMware, in many ways it’s more like physical access to your datacenter, since your physical server will house many VMs. Without knowing details about your environment, I can’t really tell you whether your solution is viable or not. In cases where I don’t know how sensitive the information is, what type of regulatory guidelines you have to comply with, etc., my recommendation is always to provide physical separation of the different security zones. However, since you DO know the answers to all those questions, you’re much better qualified to make the determination as to whether it is “secure enough” or not. I will say that, for a “low” to “medium-low” security context, your solution is quite viable. Depending on the level of trust you have with your staff, this might even be good enough for a “medium” security context. Most “high” contexts would likely balk at this, but then you’re getting to the area where security is more important than cost and ease of operation…it’s all about trade-offs. One critical thing, from a security perspective, is to ensure that your vmkernel & iLO networks are NEVER exposed to a DMZ or other “public facing” network. It may make your life “easier” – but it’s inviting the bad guys into your world…never a good thing! The third one looks a bit odd, doesn’t it? Anyway, due to the benefits we will host more and more systems on VMware; but I’m not really prepared for all security questions that are turning up, neither are our security, firewall and network guys prepared for virtualized environments. Do you know of any source describing network designs for VMware in widely accepted terms of security requirements? Like my original proposal would be EAL2 or you recommendation (physical separation of the different security zones) would be EAL4? If it were me, I think I would opt for your first option (VMware management + ILO | firewall | VMotion) and use iLO authentication to control who has access to which iLO. The advantage here is that you are isolating the VMotion network. Remember that VMotion traffic is unencrypted and could potentially hold a treasure-trove of “intelligence data”. Keeping it separated is always a good idea. You’ve also got a requirement for all users to access both the VMware Management and the iLO networks (and they’re both “management” types of traffic), so why complicate your world by separating them with a firewall. I would put them on separate VLANs, but that’s not really necessary. As for a good source of security information – probably your best bet is Edward Haletky’s “VMware vSphere and Virtual Infrastructure Security | Securing the Virtual Environment” (Edward, you owe me!) I did a tech review of the book for him and there’s lots of good info in there. He doesn’t classify things by EAL level, but there’s enough security jargon to keep most SSOs happy. Granting access to ILO interfaces at the firewall based on AD groups might be… hard to achieve. 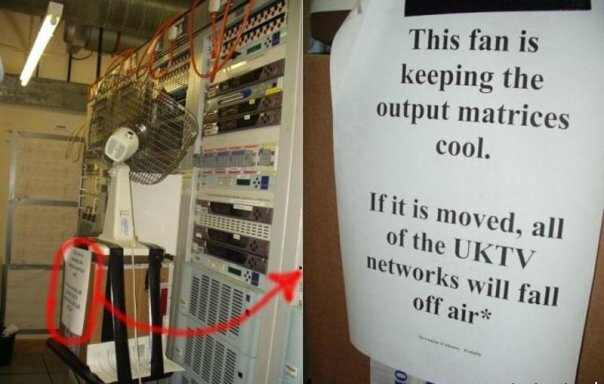 One of our firewall guys told me we could “as well stop using firewalls then”. Personally, I think security based on IP adresses is a bad idea and prefer something based on strong authentication- like certificates and private keys on smart cards. ILO will of course be configured to grant access only to authorized users. That is ILO itself will deny, for example, the windows guys access to machines owned by the linux guys. One issue occured to me yesterday: ILO doesn’t have to be as available as VMware management since there’s only one ILO interface. It’s probably cheaper to build a less redundant ILO network (lots of interfaces) and a highly redundant VMware network. Separating VMware management and VMotion by VLANs with a firewall between them is probably “secure enough”, especially with switches using separate spanning tree tables per VLAN. networks for the DMZs are in the same administrative domain, and thus, don’t need to be separated from each other. Obviously, it’s a different story for the data networks for the DMZs. Well, an attacker managing to break out from a VM might access the managment/VMotion network of another DMZ- so separating the management networks of different DMZs will almost certainly be a conditio sine qua non. It doesn’t matter what I think about this, people will simply demand separated networks. However, I think I won’t have to separate ILO networks. Anyone gaining access to management networks by accessing ILO “from the inside” is probably unstoppable, anyway. All I’ve got to say is “wow”! Your management/VMotion networks should not be exposed in the DMZ – ever. I don’t think you have to worry about someone breaking out of a VM…I believe they are more secure than physical servers from that perspective. This asymmetry of Table 2 then carries over into asymmetry of Table 3. Hmm…well, I guess you proofread better than do I! There should be symmetry in the tables (obviously). When I get the initiative, I’ll fix it. Thanks for taking the time to read this. I hope you got something useful out of it. Brilliant series Ken! Could i just ask, what are your thoughts on isolating FT traffic in vSphere 4.1 — is a seperate vSwitch/dedicated pNiCs the way to go? If one had to mix FT traffic, due to the number of available pNICs, what would you recommend it is combined with: Managment, VMotion, IP Storage or VM traffic?